7 Expenses to Include in Your 2014 Budget (Part 1) - Castle Rock Bankruptcy Attorney - Jon B. Clarke, P.C. 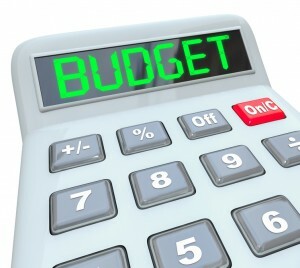 Home maintenance costs, insurance costs and car repair bills are just some of the expenses that you should budget for in 2014. As 2014 gets underway, planning for this year’s expenses can help you stay on track financially and, ideally, help you reach some of your financial goals for the year. If you have never looked at your spending habits on an annual basis, however, knowing what to expect in terms of more substantial expenses may elude you – and could upset your budget if you forget to account for them. Home maintenance costs – Does your home need a new roof or driveway? Do you have to pay annual HOA fees where you live? Is there some other annual maintenance you need to perform on your home? If so, calculate what these home maintenance needs will cost and include them in your budget. Knowing up front what you will need to spend to keep your home in good condition can help you save up for these costs and/or properly account for them in your 2014 budget (so you won’t have to take a loan to pay for them later). Insurance fees – Another crucial annual fee that you should include in your 2014 budget is the cost associated with the various types of insurance coverage you have. Don’t forget to include the premiums that you pay for health insurance, homeowners’ (or renters’) insurance, car insurance and life insurance. Additionally, you may want to factor in the costs of any co-pays that you plan on paying this year (such as, for example, annual doctors’ visits). Car maintenance costs – Like your home, your car may need some repair work done and such work may simply include annual maintenance, like an oil change. If you know that you will be needing new tires, new brakes or just the standard maintenance on your vehicle this year, calculate an estimate of these car maintenance costs and be sure to include them in your 2014 budget. Check out our upcoming Part 2 of this blog for four additional expenses that will be important to budget for in 2014.